Tennessee Latin American Chamber looks forward with new leadership, celebrates "mission accomplished"
The Tennessee Latin American Chamber of Commerce is one of two Nashville-based Hispanic business chambers. The TLACC recently released a testimonial video (below) as well as a "mission accomplished" video (above) looking back on the tenure of outgoing board president Tera Vazquez. It also announced new leadership, listed at the end of this article. Ten years ago, when this group was known as the Tennessee Hispanic Chamber of Commerce, I and many others visited the Chamber's networking events and got to know the proactive crowd of Hispanic businesses as well as "Hispanic curious" businesses and individuals. The Chamber went through a radical transformation after co-founder Greg Rodriguez passed away in 2005 and co-founder Robert Chavez left the organization in 2007. It was the first time in eight years that the founders were not at the reins, and the Chamber started looking and acting more like an independent group of professionals. Ramon Cisneros was chair of the board at the time. In 2008, Tera Vazquez was tapped to lead the organization. In the past three years, the group has returned to its roots by hosting regular networking luncheons while at the same time boosting its internal and external credibility with education and outreach. Just a few months ago, they changed their name from the Tennessee Hispanic Chamber of Commerce to the Tennessee Latin American Chamber of Commerce. 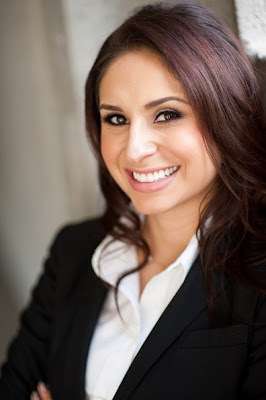 The Chamber's first 2012 announcement is of Tera Vazquez's replacement. 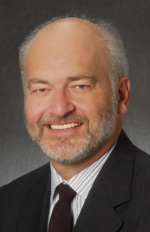 Nelson Remus of Remar, Inc. is the incoming Board President, and Mayra Zimmer, vice president at AGLA, is the Vice President. The Franklin Special School District Board voted this month to zone Poplar Grove School, which had previously been open-zoned. The first guiding principle behind the zoning decision was "a reasonable balance related to socio-economic demographics," according to the district's web site. 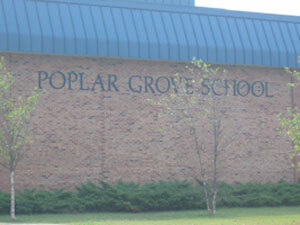 Poplar Grove is and has been the least diverse school in the district since at least 2004. Diversity goals were set back that were intended to keep Poplar Grove open-zoned. One of the early goals was 50 minority student admissions in the kindergarten class over two years. In the intervening years, the entire district has probably changed on a number of levels; I noticed from the paper that it has certainly seen an increase in its Hispanic population. The Tennessean reported that in the 2011-2012 school year, 18% of Franklin Special School District students are Hispanic. The number was 9% in 2004. Poplar Grove, however, has not met diversity goals in the years since then. Moving away from race due to a Supreme Court decision, according to the Tennessean (the case was Meredith v. Jefferson County, I think), the Board started focusing on low-income student distribution. On that measure, Julie Hubbard reports that Poplar Grove is still the least diverse school in the district, with Poplar Grove's Elementary School being 14% low-income, while Franklin Elementary totals 65%. The plan ("Scenario 10") will be adopted in stages, to ease the transition. For the 2012-2013 school year, only 7% of the students in the district will be rezoned. A summary of the plan is available in both English and Spanish. 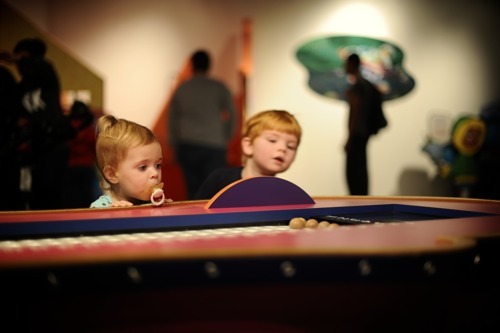 Two children watch in wonder at Cyberchase exhibit at Adventure Science Center. Photo by Leslie Rodriguez Photography. On Saturday, January 21 the Adventure Science Center launched a new exhibit called Cyberchase. The exhibit is based on the popular Emmy award-winning PBS KIDS GO! cartoon series and is designed to make math fun. 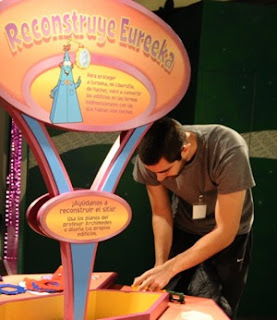 The double positive that this stimulating exhibit offers parents and kids is that it has a fun, STEM-based theme, and the entire exhibit is in English and Spanish. My wife Leslie and I had the pleasure of touring the exhibit on its opening day, and it’s already an obvious success. Cyberchase was full of kids running around trying all of the different games and puzzles, squealing with delight while they fought off Cyberchase’s villainous character Hacker using math concepts such as place value, algebra, geometry, fractions and probability. Each kid in the room had different degrees of understanding as far as the math is concerned but hey, they were working it out and loving it! Parents were helping kids when they needed it, and the beautiful strength of Cyberchase is that Spanish-speaking parents who don’t have a full command of English can participate too. All of the instructions, storylines and videos have a Spanish translation or Spanish audio option. 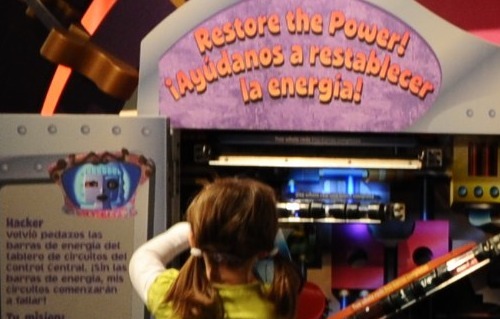 English and Spanish signage at Cyberchase. Photo by Leslie Rodriguez Photography. This is, of course, a fabulous opportunity for monolingual English parents and children as well. Here, in an environment dedicated to learning-made-fun, kids are not only exposed to math but also to a new language that might possibly wind up being a second (or third, or fourth?) language for them in the future. The whole Cyberchase experience is based on the acclaimed cartoon, featuring cybersites like Control Central, the Grim Wreaker and Poddleville, all from the show. Cyberchase visitors help the CyberSquad – the show’s heroes – defeat Hacker while “doing” math firsthand. By the end of the visit, kids (and parents!) will have a better understanding of math and more confidence in their mathematical abilities. What better way to encourage a positive attitude toward math among children than to visit Cyberchase where they can use it to protect the virtual universe? In eight years of living in this delightful city Leslie and I had never visited the Adventure Science Center, to our detriment. It’s a serious error in judgment, time management or curiosity to live in this city and never go to this wonderful building full of adventures and learning. The center isn’t just for kids – once a month they host a “way late play date” for adults (21+) complete with drink tickets and no children running around. Leslie and I are basically big kids so we fit right in trying out all the exhibits with the kiddos. We highly recommend visiting the new bilingual exhibit (and maybe even working on your own math skills while you help your kids!) and enjoying the rest of what the Adventure Science Center has to offer. 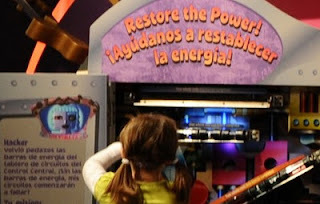 Cyberchase is a temporary exhibit that comes to Nashville via the Children’s Museum of Houston and will be in Nashville until June 3, 2012. Adventure Science Center is located at 800 Fort Negley Blvd. and is open 10 a.m. to 5 p.m. Monday through Saturday, and 12:30 p.m. to 5:30 p.m. Sunday. Admission is $12 for adults; $10 for children ages 2 to 12 and seniors 65+. Certified TN teachers (with active school ID) are free. Below I have copied and pasted a 2008 tribute I wrote to Dr. Alice Springer, my high school Spanish teacher at Montgomery Bell Academy. At that time, the MBA headmaster had called upon alumni to send in a note of appreciation for Dr. Springer's retirement ceremony. I submitted the tribute by e-mail and was also fortunate to attend the retirement ceremony and congratulate her in person. A few days ago, on the eve of my departure to South America for work, I learned that Dr. Springer had passed away. Her memorial service yesterday at Second Presbyterian Church reminded me that I am not the only young man whose life trajectory was moved because of her influence and inspiration. In the eulogy, we heard the story of Taylor Barnett, one of Dr. Springer's former students who uses Spanish in the practice of medicine. 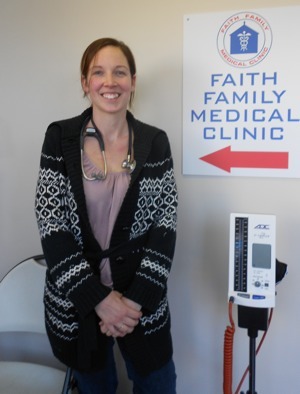 As a result, Taylor is able to connect with patients like Rosa, with whom he prayed the Lord's Prayer in Spanish as she faced the birth of a child with Down's Syndrome. Taylor told Rosa "how he had come to speak Spanish, and why he was doing this work" - and Rosa said, in Spanish, "God bless you." I wish God's blessings over Dr. Springer now that she is in His hands. She made possible so many of my own connections, adventures, and blessings. So much of my life pivots around Dr. Alice Springer's Spanish classes at MBA. I simply would not have found my wife, my job, and my current place in the community if I had received only a passing knowledge of Spanish at MBA, which of course would be both unthinkable and unacceptable under Dr. Springer. By directing us to study "religiously," Dr. Springer engaged her students. She sagely warned us that any lesson we missed for lack of study would not as easily be recovered in the future. 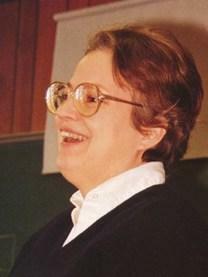 Her demanding standard was not her only tool, however; Dr. Springer complemented her instruction with a dry wit and exuberant laugh which enriched every classroom experience. Using only three short academic years, Dr. Springer left me connected to the Spanish language forever and enabled me to cultivate precious relationships beyond the English-speaking world. Dr. Springer's AP exam prep vaulted me into mid-level courses at Texas Christian University, where I devoured the rest of the instruction available to me and ended up with a major in Spanish. I sought after volunteer work with Spanish-speaking constituencies. After college, I moved to Chile for two years, where I picked up not only Chilean slang, but also my Chilean wife. In law school I clerked for the U.S. Immigration Court, and as a practicing attorney I now work directly with my company's Latin American subsidiaries and law firms. I serve on the board of a local Hispanic family advocacy non-profit, and I maintain HispanicNashville.com, an online repository of news related to the Hispanic members of the Nashville community. Our family has attended a Spanish-language church here, and my three-year-old daughter speaks Spanish and English. She asks to visit Chile, where her mother and grandmother were born. All of the joys I describe above sprang from Dr. Springer's modest Carter Hall classroom, where I first took my seat as a sophomore to tackle a subject about which I knew very little. I consider it muy buena suerte y una muy rica bendición to have been so well taught and so profoundly inspired by the unique, dedicated, and masterful instructor Alice Springer. The Tennessee Democratic Party is putting on a Latino Summit this Saturday, January 21. Yes, para ti. I quickly understood what a big deal this was after I googled Katherine Archuleta’s name and read her bio. Yeah, she’s the first Latina to hold the position of national political director of a major presidential campaign, but she has also served as the right hand woman to Hilda Solis and Federico Pena. Equally, if not more important, she is the founder of an organization that works on getting more Hispanic voters involved in politics. Increasing civic engagement in our community is crucial, so I am really looking forward to her keynote address. 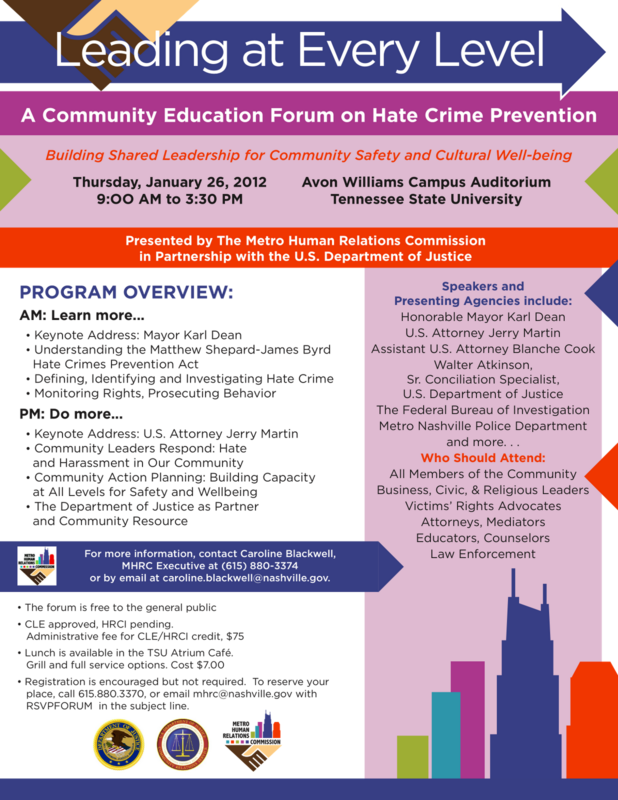 The TNDP is planning this really nice event to engage and energize the Latino community across Tennessee. This is an opportunity to get more involved in the political process, as Mrs. Archuleta would like you to do. It’s an opportunity to speak up or to listen if that is more your style. It’s an opportunity to tell the Democratic Party what it can do to better represent our community. It’s also an opportunity to hear what we can do as we work for a better life for ourselves and our families. The Latino Summit is an opportunity, don’t miss it! The Summit will be held this Saturday, January 21, from 12 p.m. to 5 p.m., at the United Steelworkers Building, 3340 Perimeter Hill Drive, Nashville, TN, 37211-4154. The reservation page is here. Democrats are building a plan to better engage Tennessee’s fast-growing Latino community and they’ve enlisted the help of Katherine Archuleta, the Obama campaign’s National Political Director. 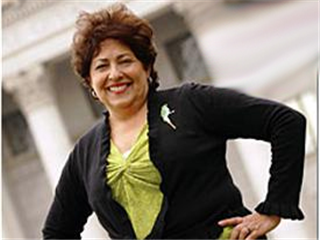 Archuleta, the first Latina to hold that position on a major presidential campaign, will give remarks Jan. 21 in Nashville at the Tennessee Democratic Party’s inaugural Latino Summit. The summit is the state party’s first step in engaging and energizing Hispanic Tennesseans for the 2012 election season. Members of the Latino and Hispanic community throughout Tennessee are encouraged to attend the free event and offer suggestions for improving community outreach. Fabian Bedne, the first Latino elected to Metro-Nashville Council, is helping Democrats coordinate the statewide outreach and helped plan the summit. The Latino population in Tennessee has more than doubled over the last decade, according to the latest figures from the U.S. Census. Ashford Hughes, political director for the Tennessee Democratic Party, said feedback from the summit will be used to craft programs specific to Latinos for voter registration, candidate recruitment and civic empowerment. Anyone interested in learning more about the TNDP Latino Summit or interested in attending should contact the TNDP by phone at 615-327-9779. We are fellow Americans, even if the government disagrees; a more intentional use of the word "American"
Photo by Pen Waggener. Licensed via Creative Commons. Over the holidays, I read Guy Kawasaki’s book Enchantment: The Art of Changing Hearts, Minds, and Actions. As a technical preface, Kawasaki points out that instead of using the words “he/she” or “they” as generic personal pronouns, his practice throughout the book is to use the word “she” when the reference is a positive one. It's to make up for all those years of women being shortchanged in literature. My advocacy equivalent of Kawasaki's practice is to use the word "American" to describe a person who has lived in the U.S. for a long time, even if she is not a formal U.S. citizen. If you think about it, we consider people to be Americans, especially those we know personally, when we are aware that they have lived and worked in the U.S. for years. We commonly hold back from calling them "American" if we know they're not formal citizens - even when we believe immigration law unjustly denies them access to citizenship. Some of my readers likely consider themselves American, even if they don't have a visa, green card, or U.S. passport. Their years or even decades in this country are a witness to their American identity. The reality is that even without permission, people can and do over time become de facto Americans - a status based in reality but not necessarily in law. The government, as is often the case, is slow to adjust to real life. We as individuals don't have to be slow or willfully ignorant. 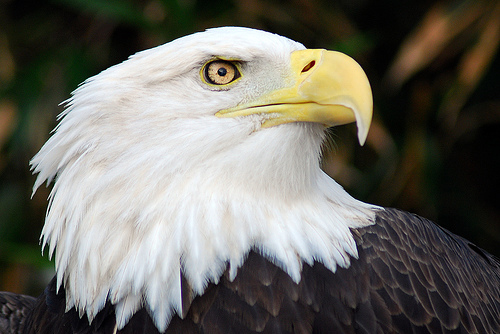 Updating our collective vocabulary can't make up for all those years of being shortchanged, but both advocacy and accuracy make it appropriate to identify our fellow long-time U.S. residents - and ourselves - with the word, "American." "All persons having resided in the United States for twenty-one years are citizens of the United States and of the State wherein they reside." The 10 members of the Metro Council's Black Caucus have voted to change their name to the Minority Caucus, according to a report in the Nashville City Paper. The change comes to incorporate the specific concerns of Latino Nashvillians in the caucus, now that Argentina-born District 31 Councilman Fabian Bedne has been elected to the city's representative body. Side note: In the comments to the City Paper article, where an anonymous poster flung nonsensical slander at Mr. Bedne, the councilman submitted a diplomatic but unyielding response. If he is going to have to respond to that kind of thing throughout his term, Bedne is already showing he's up to the task.